I am often times asked by veterinarians interested in acquiring an established veterinary practice, "So how do I go about doing this, and how can you (Terry Jackson) assist me?" Purchasing a veterinary business is probably one of the most important but unfortunately, complicated decisions you will make as a veterinarian. In many cases purchasing a clinic is the realization of a career dream conceived almost from the time you chose being a veterinarian as a career. This being said let me assure you, I have worked with countless veterinarians in the same situation and thus know, understand and appreciate the fear of entering the unknown world of purchasing a veterinary business. "All this legal, accounting and financial stuff; what does it mean?" In this regard, I see my job as not only assisting veterinarians in making the best decision(s) when purchasing, but also working alongside them to ensure they know and understand what is going on and that the purchase represents the absolute best in price, terms and conditions with the minimum frustration and worry. In response to the initial question, I have developed the following step by step description of the purchasing process and in turn have taken the liberty of confirming where and how my professional services can be of assistance. To begin with, if there is an intention to have me assist in the acquisition at some point in the purchase, I believe it is important for us to meet sooner than later and talk about what you are looking for in a veterinary practice. This initial discussion allows us to become better acquainted and in turn determine how best to communicate between one another. As part of this discussion I will share my twenty five plus years' experience and knowledge of the veterinary industry and we will look towards identifying your important personal and career purchase objectives as they relate to the purchase consideration. I have experienced clients saying "I want this practice so bad, do not lose it in the negotiations!" and I have had others stipulate, "here is my absolute bottom line and I won't pay a dime more. Negotiate it and I don't care if I lose it!" How about, "just tell me that I can afford to make the payments and I'll be ok"? Bottom line is I bring a huge amount of experience and knowledge about purchasing a veterinary clinic, valuing clinics and negotiating their purchase part of which I will share with you during our initial meeting and discussion. The Introductory Meeting (face to face or by telephone) normally takes an hour to an hour and half and is "free of charge and obligation". Getting to know one another and identifying what's important to us individually and working together is critical to the success of our relationship and our ability to communication, the end result being a agreement terms which are reasonable, fair to both parties and as such represent the very best deal for the client.. It is so important, I don't believe it should be overshadowed by a time clock! When purchasing a veterinary practice, it is important to obtain from the Vendor as much preliminary information as possible in order to determine their wishes or demands under which the sale will be transacted. This information should include confirming the desired selling price, whether or not they are selling equity "Shares" or "Operating Assets", and any special terms and / or conditions the Vendor believes to be important. Also at this introductory stage, the Vendor should be providing financial information regarding the business activities such as annual financial statements, and details of the operating premises including terms of the existing lease. During the preliminary stages of gathering important information, I always recommend to my clients "be an observer" to gauge the real motivation to sell by the Vendor. Do not get into negotiating discussions. When the Vendor is unclear as to the terms of the sale, not specific or clear as to practice price or there is hesitation in releasing information, these could be negative signs of the Vendor's motivation to sell. Motivated Vendors are normally very prepared and organized in their demands and information which normally results in the purchase process moving forward smoothly without delay and frustration. The Vendor may also wish a Confidentiality Agreement be signed before providing detailed information. As this is a legally binding contract you should have the document reviewed by a person familiar with these types of contacts before signing. From time to time, I have run into instances where the Vendor requests the Purchaser post a financial security deposit prior to receiving any information. Fortunately this type of demand is not normal and as such, I generally recommend not complying with these unusual request. Having received the required answers to what's being sold (? ), for what price (?) and under what terms and conditions (? ), the next step is to determine whether or not the asking price and terms are reasonable, which obviously means reviewing the financial statements and the premises lease agreement. Again, this is not the point to begin negotiations but rather simply completing a brief review of the financial statements and lease agreement to identify potential problem areas and ensure the Vendor's asking price isn't a "pipe dream" or based on an industry "myths". The basic criteria of any practice purchase is the selling price has to provide for a reasonable veterinarian's compensation and sufficient operating profits in which to repay the Purchase Price within a considered reasonable time period. I consider a reasonable time period being seven and less years. If retained to do so, my preliminary role at this stage would be to review the Confidentiality Agreement if presented, to ensuring its reasonableness, and then begin to review the financial statements and premises lease. Following my review, we would then meet to discuss my observations and recommendations of the Vendor's demands as they relate to the reported financial operations and lease agreement, with the objective being to decide whether to move forward in the purchasing process. The cost to complete the preliminary financial review and meet to discuss the purchase particulars is based on an hourly rate of $250 per hour and normally falls in the range of $1,000 - $1,750. Obviously the overall fee is dependent on the circumstances and format of information available. For new clients and in order to begin my review, I require a signed Engagement Letter and a retainer of $1,000 that will be applied towards the accrued professional fees. Following our Preliminary Discussion, and while I am reviewing the financial statements and lease agreement, I will have referred you to at least two financial institutions (if available) to talk about their Professional Loan Program for Health Care Professionals and in turn confirm your eligibility. Basically, these special loan programs will provide up to one hundred percent financing of the Purchase Price as well as general working capital funds with minimal security and very favourable interest rates. In so far as I have an excellent working relationship with all of these institutions, I can make appropriate introductions to ensure you are meeting with the right individuals familiar with the terms of these programs. While a lawyer will be required as part of the process, it is not necessary at this point in time, unless the Confidentiality Agreement is complex or there are other legal documents presented by the Vendor for your signature. If you do not have a lawyer, I will assist in locating a professional with experience in business transfers such as the one contemplated. Assuming the financial and lease review and discussion of the acquisition opportunity is positive, we would then move towards completing a more comprehensive review of the financial operations, asking the Vendor of additional information (listing and perhaps pictures of equipment, employee listing, list of competitors, as well as perhaps specific financial information). This process will provide a more accurate confirmation of the practice value as well as assist (us) in (jointly) developing a negotiating strategy forming the basis for the purchase negotiations. Before entering into any sort of negotiating discussion it is critical to identify key elements of the negotiation discussion from which agreement is required in order to move forward. By identifying these points upfront one can then schedule the discussion topics in a particular priority so as to maximize the desired result. For example, knowing "price" is one topic you may not agree to readily, this might be a topic that is scheduled for discussion later on in the negotiating discussions, alternatively it might be a topic that is discussed right after you have said "hello". 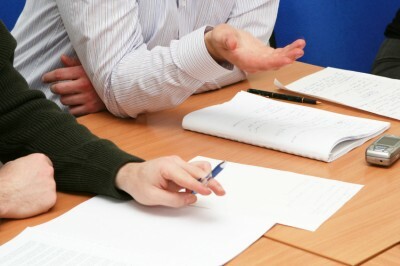 Having confirmed the practice value, identified investment risks, and formulated a negotiating strategy, the next step in the process is to formulate a formal Offer to Purchase or alternatively a discussion paper where general purchase details are listed with the negotiating strategy being the determining factor with regards to the two alternatives and listing priority. As it relates to my engagement, at this point, you can set off and negotiate the purchase yourself or alternatively engage me to represent you in the negotiations. My fee for involvement in Step Three again is invoiced at $250 per hour and normally totals approximately $2,000 - $2,750. This is dependent on the complexity of the financial review and preparation for entering into negotiations. If you are going to proceed to negotiate the purchase yourself, I would then, render a final invoice for my time expended and in turn deduct the initial retainer fee of $1,000. If however, I am engaged to proceed with the negotiations, I would request an additional retainer of $1,500. Step Four incorporates beginning negotiating discussions with the Vendor and / or their representative. Dependent on the circumstances and the designed negotiating strategy, these discussions would begin with forwarding the formal Offer to Purchase or the discussion paper incorporating particulars of the offer and take place either on the telephone or alternatively face to face. Sometimes my clients are involved in these discussions and in other cases they have chosen not to be. When I am involved in negotiations, there is one very basic rule that is important to me; either I negotiate on the behalf of the client throughout the process, or they negotiate with the Vendor with my agreement. Unfortunately, I have learned through experience when too many people participate in the negotiating discussions, effective communications begin to deteriorate and sometime irreversible problems arise. Often times negotiating advantages are removed when "side bar" discussion take place between the principals. When both parties arrive at the negotiating table organized and prepared, the actual negotiations in themselves don't take a lot of time. My procedure is to, normally, introduce topics that I know we can reach agreement on fairly quickly and easily and then proceed to discuss issues that I anticipate taking more time or discussion to reach a resolution. From the Purchaser's perspective, the best negotiating strategy is one incorporating a "win / win" philosophy, although from time to time and in order to achieve certain negotiating objectives I may adopt a "win / lose" approach, having first received the clients instructions to do so. Again, what topics to be discussed and when are formulated as part of the negotiating strategy and in turn laid out in either the formal Offer to Purchase or the Offer to Purchase discussion paper. Having over time negotiated many purchase contracts, one should expect a time frame of between one to two weeks to reach a final agreement. If the negotiations become protracted and / or drawn out, it has been my experience there could be fundamental differences between the parties whereby it is often best to break away and defer the negotiations for a time of reflection. Attempting to continue to negotiate when the parties are experiencing real difficulties in reaching agreement can often lead to bad relations and / or a terminated transaction that costs everyone money. Better to step aside and come back with a fresh perspective, than to stay in the war at all costs simply to get a deal done. Successful negotiations when purchasing a business result from being organized and prepared including identification and reaching agreement to all the critical transaction points and secondly immediately documenting the agreement. In my negotiations I attempt to have the first draft of a Memorandum of Understanding detailing all transaction details out to the other side within a week to make sure the discussion points and agreements are still fresh in everyone's mind. The last thing one wants to have happen is finding themselves at the legal documentation point and recognizing having overlooked an important point to which the parties cannot agree on and the transaction falls apart. As mentioned earlier, there are professional loan programs under which funds are available for veterinarians to acquire going concern veterinary practices. Normally, these specific programs will finance one hundred percent of the Purchase Price as well as provide additional working capital funds to pay for acquisition costs and some initial start-up costs such as professional fees. In addition to a reasonable comprehensive business plan that supports repayment of the Purchase Price under reasonable conditions, the financial institution will want to see a personal financial statement, last three year's CCRA Notices of Assessment, practicing licences from the provincial veterinary association and evidence of disability and life insurance. In so far as the Professional Loan Programs are specifically designed for professionals such as veterinarians, their lending criteria is less than one may think, including perhaps negative Personal Net Worth Position arising due to outstanding student loans, and normally does not require real estate security or outside personal guarantees. What has emerged of recent is the bank's requirement to have an independent written Valuation Report confirming the practice value. The cost of this formal report lies in the range of $3,500 - $4,000, the cost of which can be negotiated into a "sharing" proposition with the Vendor and in some cases used as the basis for resolution of the Purchase Price. From experience, it is critical to present to the financial institution, a clear and comprehensive financial business plan that reasonably considers the existing operations and the Purchaser's operating objectives resulting in operating profits sufficient in which to service the acquisition loan. In making this application, while the Purchaser doesn't have to provide the actual legal transfer documents confirming the purchase details, the bank's will require a document that clearly details the transaction as well as the lease agreement confirming the lease term (including the option period) that equals or exceeds the amortization period of the acquisition loan repayment. The organization and clarity of the business plan and application are used to demonstrate the borrower's management abilities; a key component in approving loan applications. I have a long term working association with the financial institutions in providing practice Valuation Reports as well as successful loan applications based on reasonable developed Business Plans. I normally submit loan applications to at least two of the four financial institutions to ensure the offer to loan the funds is considered competitive. Throughout the loan adjudication process, I would be working with and monitoring the application through the loan manager. In receiving the various proposals to loan the requested funds, I would work with you to confirm the best alternative offered. Once the purchase terms have been confirmed in writing, a lawyer would then be engaged to prepare of the formal Purchase Documents. Generally speaking the Purchaser is (financially) responsible for preparing the purchase documents while the Vendor is responsible for their own legal fees in representing their interests. In so far as the average veterinary practice operates from leased premises, part of the purchase documents would include transferring or assigning the operating premises lease to the Purchaser. This would include a review of the lease assignment provisions by your lawyer and then having discussions with the Landlord to ensure transfer in ownership and lease agreement will be with their blessing at the time of Closing. If engaged to assist throughout this intervening process, I would be working with the lawyers to ensure the legal documentation represents the business transaction negotiated and the documentation process proceeds in an efficient and timely basis. As a side note, the premises lease agreement should not be taken lightly as it is the one document that safeguards the Goodwill that is being purchased. Lease agreements come in all shapes and sizes, some with standard and some with very unique clauses that could significantly impact the transaction. An early review of the lease agreement could confirm a requirement to negotiate lease rates within a relatively short time period after the transfer, confirm there being no Options to Renew provisions to extend the lease term or even worse yet, a demolition or relocation clause that provides the right for the Landlord to unilaterally terminate the lease or relocate the Tenant within the complex before the lease term has concluded with no reimbursement to the Tenant. Step Six is all about moving towards the date when ownership transfers and the Purchaser assumes day to day management and control of the business and it begins with the removal of the agreement's Subject Conditions. In entering into the Memorandum of Understanding, parties will have confirmed certain conditions (Subject Conditions) that will have to be satisfied (normally by the Purchaser) before there is a final and binding agreement. Examples of Subject Conditions include confirmation from financial institutions of purchase financing approval, the lawyers and accountants reviewing the Memorandum of Understanding, the Landlord approving the premises lease assignment, etc. When formally removing Subject Conditions (Subject Removal), most agreements provide for the Purchaser advancing a non-refundable deposit held in the trust account of the Vendor. Should the Purchaser subsequently decide not to proceed with the purchase, the deposit would then be turned over to the Vendor. Obviously if one were to decide not to proceed to purchase after they have removed their Subject Conditions, they would do so with the advice and guidance of their legal representative. In most instances the non-refundable deposit is in the range of between $5,000 and $10,000 and dependent on the relationship with the acquisition financing institution could be funds advanced against the acquisition loan approved at this point. In removing the Subject Conditions it is customary for the Vendor to then advise their staff of the pending ownership change. As part of the negotiations normally there is a clause dealing with transitioning ownership and of which includes the Purchaser's participation in an introduction to the support staff as quickly as possible after they have been informed of the pending change. It is critical that the transitioning of the support staff begin immediately upon their knowledge of the change so as to remove any concerns the staff may have about their job and will obviously diminish the likelihood of staff finding replacement employment out of fear. It has been my experience, the support staff really are the people who transition the change in ownership (not the former owner) and thus it is very important to gain these dedicated and committed people's trust and respect as soon as possible before the date of Closing if at all possible. Another important part of successfully transitioning the practice normally contained in the negotiated agreement is the continued employment of the Vendor veterinarian post-Closing including defining their areas of responsibility, compensation, etc. I also generally recommend and negotiate as part of the agreement, the Vendor drafting an introduction and general recommendation of the Purchaser as part of the client announcement distributed to all the clients in conjunction with the Closing. I normally do not recommend the Vendor's post-closing employment last very long as it tends to confuse the clients (who want to see their old doctor) and the support staff who don't like change and thus seek out their old boss to complain. With this in mind, I normally recommend a three week transition period, during which the Vendor works full time the first week, two thirds time the second week and one third time the third week. When engaged to do so and as we move towards the Closing Date, I work with the Purchaser in the transitional aspect of the ownership change, work with the lawyers to ensure all the legal documentation will be completed on time for Closing as well as work with the banker to ensure all of the banking requirements have been fulfilled and the loan proceeds will be available in conjunction with the Closing date. I also normally recommend the Purchaser schedule, the week before Closing, to be off work and available to attend to all the final organization and signing. During the first transition week after Closing, I generally recommend the Purchaser locate themselves in the back pocket of the Vendor and ask them to proceed as they normally would in a normal work day. Listen to how they speak with their clients, observe their treatment or diagnostic approach, and observe their file maintenance and inter-actions with the support staff. At the end of each day, the Purchaser should meet with the Vendor to go over all the various observations of the day to gain an understanding of how the clinic, or more particularly, the Vendor veterinarian's delivery of veterinary health care. REMEMBER – Upon being notified there is a new owner, all clients anxiously awaiting anticipated change and as they become more aware of changes (particularly those identified by the support staff), it will automatically be perceived as increased professional fees. The less change introduced particularly in the first six months after acquisition, the easier the transition. Easier transition, less client loss. As previously mentioned my Professional Fees are based on an hourly fee of $250, excluding the Valuation Reporting requirement, and for my involvement from start to finish and normally ranges between $7,500 - $10,000 based on the actual time expended, complexities, problems, etc. Aside from the two retainers request (Step One $1,000 and Step Two $1,500), I would look towards rendering a final invoice at the conclusion of the sale, which would be paid for from the loan proceeds. At any time, at your request, I can provide a confirmation of accumulated time to that point in time. Legal fees are generally invoiced on an hourly basis as well and as such, again dependent on how much the lawyer is involved and actual work completed. If all the business and / or legal issues have not been resolved at the time of the negotiating discussions, the lawyer would be required to negotiate these points with the other lawyer and as such require resolution while the Vendor and Purchaser await the outcome. Thus, legal fees can be minimized by having all-encompassing negotiating discussions and confirming documentation prepared ahead of time. Dependent on circumstances and involvement, one can expect the Purchaser's legal fees to be in the range of $3,500 through $5,000 which are paid by way of a requested retainer and then with the advance of loan proceeds. As a member of the Certified General Accountants Association of both British Columbia and Canada, I am professionally required to maintain the highest level of confidentiality with my clients and the information provided through the course of my engagement. In so far as I work almost exclusively with veterinarians located in the three western provinces of Canada, initial conversations are confidential until any Conflict of Interest issues have been resolved. I would not be able to accept an engagement which would impact an existing professional relationship that I enjoyed, but in turn I would respect the confidentiality of information conveyed in getting to that point. I hope this article has shed some light on the overall purchasing process, including helpful tips on achieving success as well as where my services can be of assistance. Should you have any questions or concerns arising from this discussion paper, please do not hesitate to contact me at your convenience. Terry Jackson, C.P.A. – C.G.A.